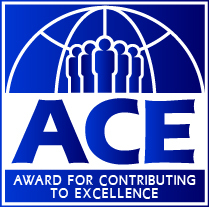 The purpose of the Organisational "Global Performance Excellence Award" (GPEA), the Awards for Contributing to Excellence (ACE) Teams, and the APQO International Individual Awards (AIIA) is to recognize and celebrate organizations, teams and individuals as role models to demonstrate a commendable performance of business excellence contributing to business success, and Teams and Individuals for contributing to quality advancement and business excellence at work place across all sectors in APQO member countries. These awards would spur and show case organisations embracing validated management best practices, quality systems, standards, procedures and processes that are proven leading local, regional and international practices used for quality advancement and business success for sustainability to support national, regional, Asia Pacific economic development, growth and success. The awards aim to promote the adoption of proven or new approaches and strategies, best in class practices in various aspects of operational performance, such as deployment of 4th Industrial revolution enabling technologies, automation and data technologies, smart manufacturing, service 4.0, digital transformation, data analytics, development of smart talents, etc., which are driving forces for companies or organisations to stay competitive in the ever-evolving economy. Applications/entries submitted after announced deadline will not be accepted. APQO Member Organisations may support as many categories as they wish. Only entries/applications submitted that meets the stipulated criteria e.g. the award eligibility form/application form will be accepted for assessment and or consideration. All entries/applications will become and remain the property of the APQO Awards Committee and APQO & GPEA Secretariat. APQO/GPEA Secretariat will manage the process and all submissions will not be returned to the applicant/entrant unless a separate arrangement has been made prior the submission of application. Entrants should not disclose any confidential/classified or price-sensitive information, as the confidentiality of such information cannot be guaranteed. Application/Entry is open only to organisations supported/sponsored by APQO Core Council members and are from countries the Core Council members are from. The decision of the GPEA Governing Council and ACE Team/ AIIA Judging panel is final. No communication/correspondence will be entered into after the selection of the winners. APQO and GPEA Secretariat via its appointed council and judges reserves the right to determine the winners at its sole discretion, and is not obliged to divulge entrants' scores or any other judging information. 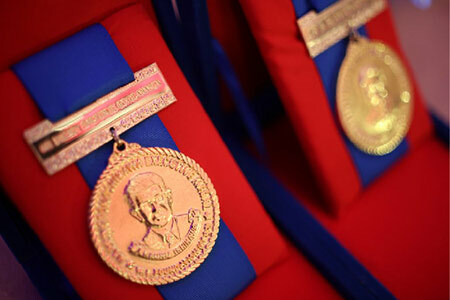 The granting of any APQO Award to an applicant/entrant is subjected to the organization making available the most senior person/a suitable senior representative or the individual award winner to attend the awards ceremony. APQO/ GPEA Secretariat reserves the right to withdraw an award from an applicant/entrant in the case of non-attendance. The cost for attending the Award Ceremony is to be borne by the award winner and any of his accompanying party. Entry fee per person to Award Ceremony will be required as advised by the host. The GPEA (introduced in 2000 as IAPQA) is the only formal international recognition of performance or business excellence. The program is administered by the APQO. 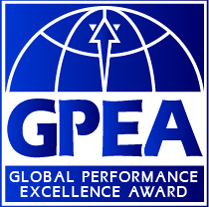 In 2010, the name of this prestigious global award was changed from IAPQA to GPEA to reflect the evolution in the field of quality from a focus on product and service quality to a strategic focus encompassing overall organizational performance termed performance/organizational/business excellence. The GPEA endeavors to bridge the cultural geographic and economic system gap of National Quality Awards (NQA). 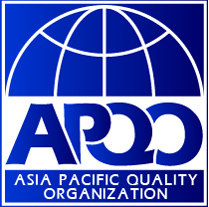 The Harrington/Ishikawa Quality Professional Award named after APQO's first honorary joint Presidents will for now be APQO's only Individual International Award named after Individuals and will be presented to a deserving quality professional that has stood out and made outstanding contributions to the promotion and implementation of quality methodologies in the Asia Pacific region and or globally. Only one award will be presented to a deserving individual annually, however if there are no worthy nominations, no award will be presented. Prior to 2018 the various categories of the APQO Awards named after individuals administered by APQO and judged by the WLHF Board were presented during APQO International Conference Awards & Dinner Gala Platform. 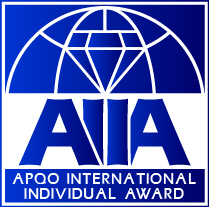 To facilitate clarity in the effort to enhance the APQO award process and preventing any conflict of process when shortlisting worthy winners and role models, with effect from 2018 only AIIA winners managed and judged by APQO panel of judges will be recognised at the APQO International Conference Awards Presentation platform. This will also allow APQO to strengthen its processes and be independent in its efforts to have a robust award programme for outstanding individuals. All awards must have a proposer from any APQO member organisations, supported by the Core Council Member and known to the nominee. This Award is accorded to a senior leader (President, CEO, Principal, Owner, or Senior Vice President of a major corporation, Chief Operating Officer, Plant Manager, Division Manager, Partner etc.) in recognition of his/her contribution to the advancement of the quality movement within the Pacific Rim nations and beyond. The Award is an exciting celebration of talent, achievement, imagination and innovation. The Award encourages and recognizes women whose outstanding leadership and exemplary engagement in Productivity/Quality and Business Excellence contribute to the vitality of the local, regional, national or global community in quality. This award is presented to a proven quality professional that has distinguished himself or herself as an individual in providing outstanding contribution to the promotion and implementation of quality methodologies in the Pacific Rim nations. This award is presented to deserving person whose enthusiastic and effective involvement contributed to the success of APQO projects undertaken / conference specifically from host country or to any person/s or team for an outstanding effort that had contributed towards APQO's success. This recognition is accorded to deserving individuals / team whose enthusiastic and effective involvement contributed to the success of the APQO International Conference specifically from host country or to any person/s or team for an outstanding effort that had contributed towards APQO's success. Recognising worthy role models and committed APQO Leaders having made significant contribution to the betterment of APQO. Recommended by APQO Board. Special award accorded to recognise APQO Officers/Members unstinting support in the long haul. Recommended by the APQO Board. Provide a platform for competition to recognise the best of best of teams from APQO member countries. This competition process creates a "best-practice" sharing environment and fosters a healthy spirit of competition, which encourages and rewards excellence. Learn & Share - study other teams and benchmark your team's efforts. Showcase and celebrate your organization's commitment to productivity, innovation and continuous improvement process. Benchmark and Leap - compare how your team measures up against the best of the best in teaming and commitment to team excellence from around the world. Embrace best practices and leap towards excellence. Recognise & Celebrate - demonstrate commitment to teams and workforce engagement and recognition to motivate staff to embrace excellence and commitment to the organization vision and it's stakeholders in particular customers' satisfaction. Team participating will receive the APQO Team Excellence Awards of 1 Star, 2 Star, 3 Star or Certification of Participation based on their total score. Today organizations who see and act upon the opportunities and possibilities for change through innovation in today's volatile and unpredictable business environment will not only survive, they will position themselves to successfully compete and flourish in the face of the range of emerging adverse and demanding business and economic conditions. Many will use innovation as a strategic, systemic, human centred and technological lever for developing agile innovation cultures, robust business work systems and processes and eco-systems. Engaging and inspiring its workforce to tap into the power of the internal crowd, and empower people to create, invent and innovate new products, processes and services. Being agile, by developing the internal capability in both human capital and technology resources to change direction and remain relevant and succeed. Today Innovation is a lifeline for almost every organization public or private to remain competitive. 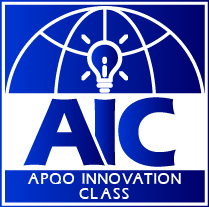 To help APQO Organizations and its members leverage on innovation, it is imperative that APQO introduce an initiative to enables its members successfully embark and thrive on their innovation journey. To make this a reality APQO will introduce the AIC Initiative and Criteria to help organization conduct self-assessment to understand their strengths and recognize their opportunities for success. AIC Framework is an Innovation enabling framework requiring connectivity across every aspect of the organization, allowing the consistent delivery of creativity resulting in the most relevant forms of innovations benefiting each segment of the customer base along with organisational sustainability. Each category will have 4 to 5 statements / best practices for organizations to assess its performance. Work is underway to announce specific details and encourage organisations to conduct Self-Assessment to understand themselves better. Note: APQO would announce more details in late August to encourage members to encourage their organisations to adopt the AIC framework for its Self-Assessment and report findings. In organizations, good governance starts with the board of directors. The board's role and legal obligation is to oversee the management of the organization and ensure that the organization delivers its mission. Effective board members monitor, guide, participate and enable good management; they do not do it by themselves. The board generally has decision-making powers regarding matters of policy, direction, strategy, and governance of the organization. Strong ethical and fiduciary oversight by those charged with governance of a not-for-profit entity is imperative to maintaining the members and public's trust. It must also ensure that the organization maintains its tax-exempt status and meets its ongoing legal and compliance responsibilities. Oversee matters critical to the health of the organization-not decisions or approvals about specific matters, which is management's role-but instead those involving fundamental matters such as the viability of its business model, the integrity of its internal systems and controls, and especially the accuracy of its financial statements. APQO with a 33 years history with its recent challenges is a wake-up call for all and valuable lessons drawn for allowing one party to unilaterally take decision and authorise financials without Board and Core Council approvals. Its pertinent that strong ethical and fiduciary oversight by those charged with governance be robust, transparent with clear accountability. 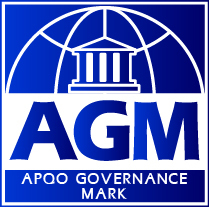 APQO is rolling out an APQO Governance Mark or AGM is simple initiative. This initiative which was first presented in Rotorua, NZ in 2016 APQO Core Council Meeting and accepted for trials in Principle. The proposal was to have a GOOD GOVERNANCE Self- Assessment/ and an Independent Assessment options. Boost public confidence in the Quality Championing Institutions sector by setting the standards of good governance for Quality Institutions to aspire towards. The GOOD GOVERNANCE Level will adopt a Code of Practice for Good Governance for both the SELF-ASSESSMENT or INDEPENDENT ASSESSMENT. To enable the Institution to effectively monitor performance. To enable "stakeholders" affect its behaviour. To allow Institutions to report its achievements and be recognized based on verified evidence rather than on anecdote/unsubstantiated claims. Allow those who have an interest in the Institution and its stakeholders to judge if it is achieving the values and outcomes which it set out to achieve vis a vis its Vision. To allow Institutions to report its achievements and be recognised based on verified evidence rather than on anecdote / unsubstantiated claims. Please refer to the Guide on how to submit the APQO Commitment to Governance Self-Assessment Checklist. The Code sets out the best practices in governance. The Code is operated on the principle of 'comply or explain'. Where Organisations are unable to comply with certain Code guideline, they should be able to explain why they are unable to comply. When explaining non-compliance, the Organisation should also indicate the steps being taken towards compliance or give explanations if they decide otherwise.